Professor Nojiri, the director of Center for Theoretical Studies in KMI, has been awarded the title of Honorary Professor by the Tomsk State Pedagogical University, Russia. The details are available from the website of Tomsk State Pedagogical University. 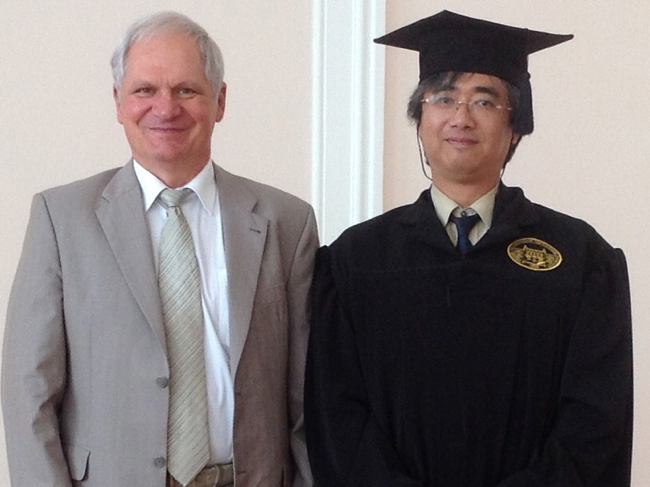 From the left, Tomsk State Pedagogical University Rector Valery Obukhov, Prof. Shin'ichi Nojiri.